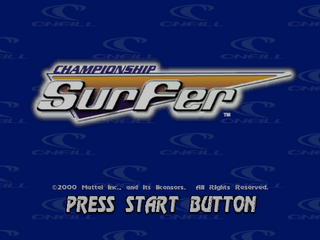 Championship Surfer is a surfing game for the Sega Dreamcast. During development it was known as Billabong Pro Surfing. Main article: Championship Surfer/Magazine articles.